Dr. Vinitaa is communication expert and manages the network activities with the governments, private sector and other NGOs. Presently she is executing the communication projects in the large private sectors in India and in UNEP. She has conducted numerous training and awareness events in the schools and for the teachers on the environmental protection. She has expertise in capacity building. 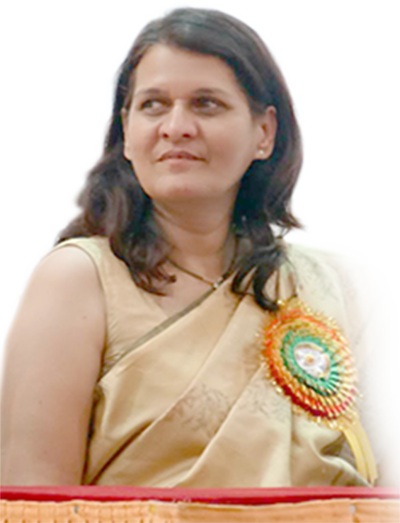 A doctorate of Pune University, Vinita has worked as TV animator, cultural coordinator and creative writer. She participated and presented papers on CSR and role Social media in national and international seminars organized by UN in Bangkok, Paris, Langkawi (Malaysia), Cairo and Bali. She was presented with an award for the on the 20th Anniversary of the Montreal Protocol for innovative implementation of public awareness for the environmental protection. She has actively launched number of initiatives under the Safe Planet Campaigns of United Nations in Geneva.